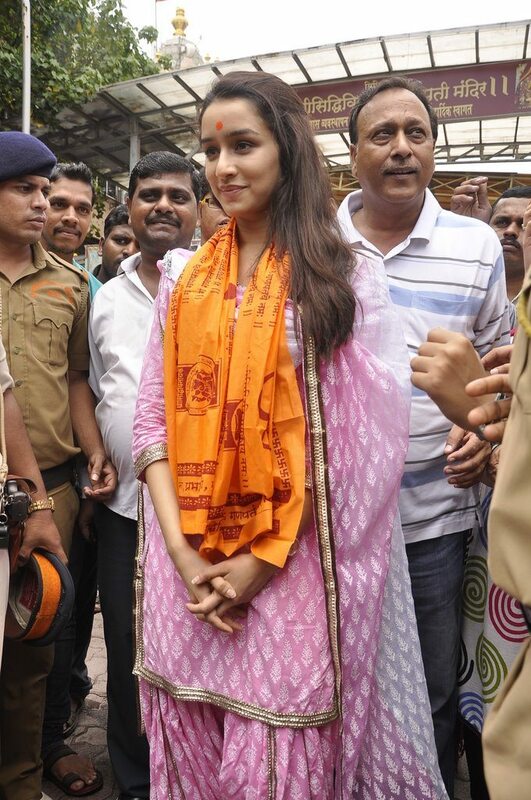 Shraddha Kapoor revels in the spiritual. 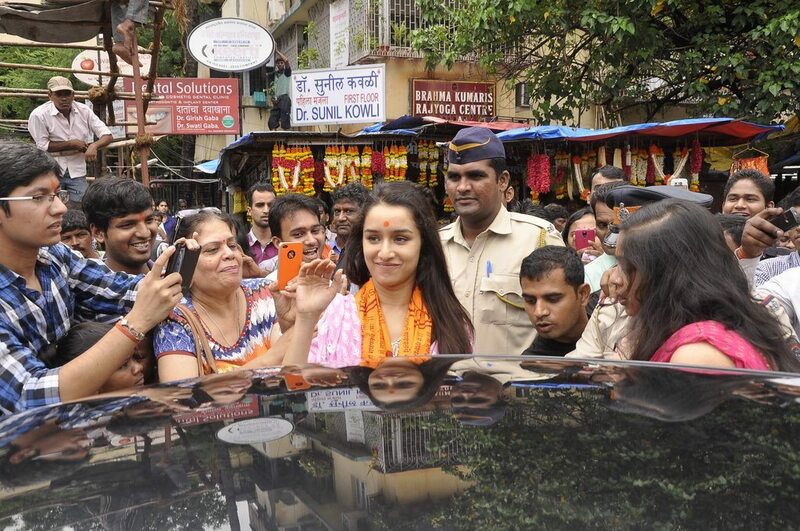 Bollywood actress Shraddha Kapoor seems to need god on her side as the actress visited Siddhivinayak temple in Mumbai on July 10, 2014. The ‘Ek Villain’ actress was seen dressed in a sober pink salwar kurta and managed to pull in a huge crowd, who’d gathered to get a glimpse of her. Shraddha is flying high on success with her back to back hits Bollywood hits – ‘Aashique 2’ (2103) and ‘Ek Villian’ (2014). The actress is now gearing up for her upcoming movie ‘Haider’ opposite Shahid Kapoor. The actors recently unveiled the trailer video of Haider, this Vishal Bharadwaj film is based on the Shakespearean masterpiece ‘Hamlet’. Set in the scenic locales of Kashmir, the movie is produced by Bharadwaj and Siddharth Roy Kapur.